This is the summary of consumer reviews for Intex Camp Air Bed with Pump. 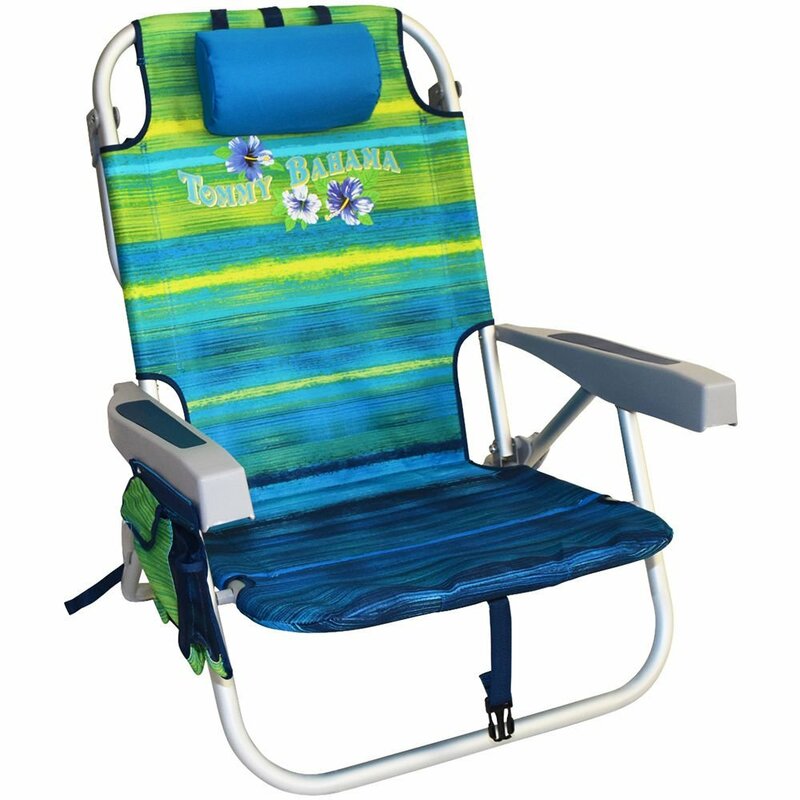 The BoolPool rating for this product is Good, with 3.90 stars, and the price range is $23-$30. 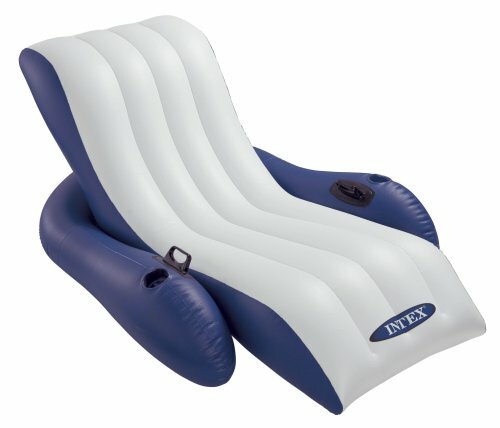 Intex Elevated Airbed with Pump provides a quick comfortable sleeping space with a battery powered pump for your camping trips or anytime when you need an additional down time room. 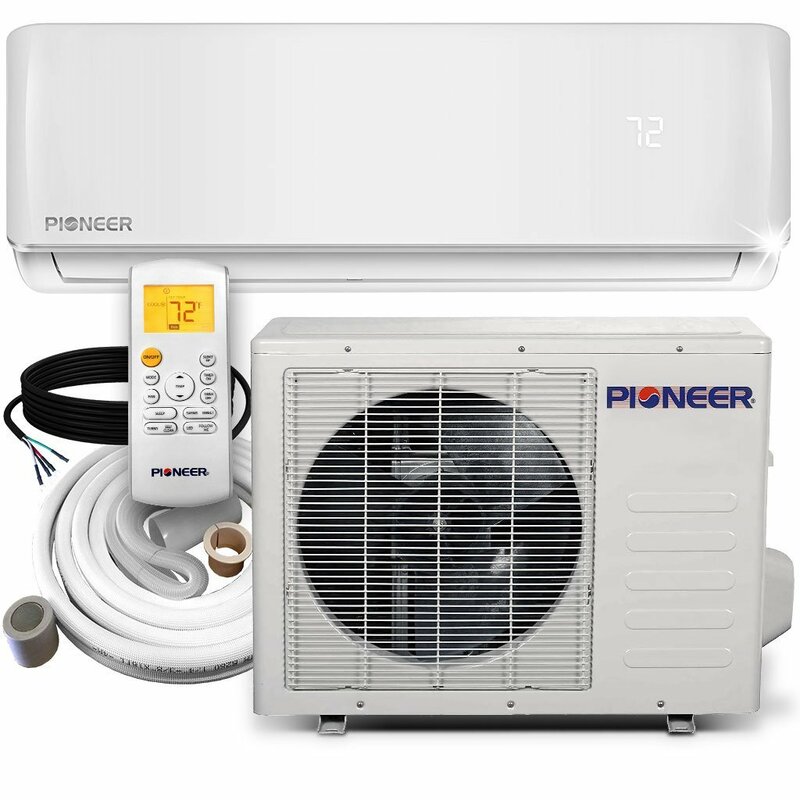 The high-flow battery pump uses 4 D batteries that are not included but it features the 3-in-1 valve that has extra wide openings for fast inflation and deflation. 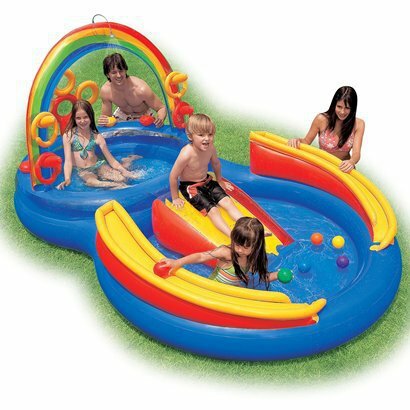 The battery pump works great when you don't have an outlet nearby and the adapters can also be used for this bed or any other inflatables you own. This Intex air bed makes an ideal sleeping choice by offering wave beam construction that gives wonderful supportive comfort. It can compete very well with conventional mattress sizes as it offers ample sleeping area and 8.75" mattress thickness for extra soft comfort. Many users like the soft flocked sleeping surface that can hold the sheets well and gives the bed an overall nice soft feel, compared to non-covered air beds. 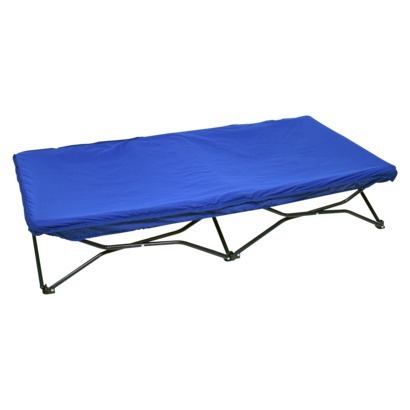 It is easy to clean and helps minimize sleeping bag slippage. It is a sturdy waterproof airbed that might need to be re-inflated occasionally to maintain the desired firmness. 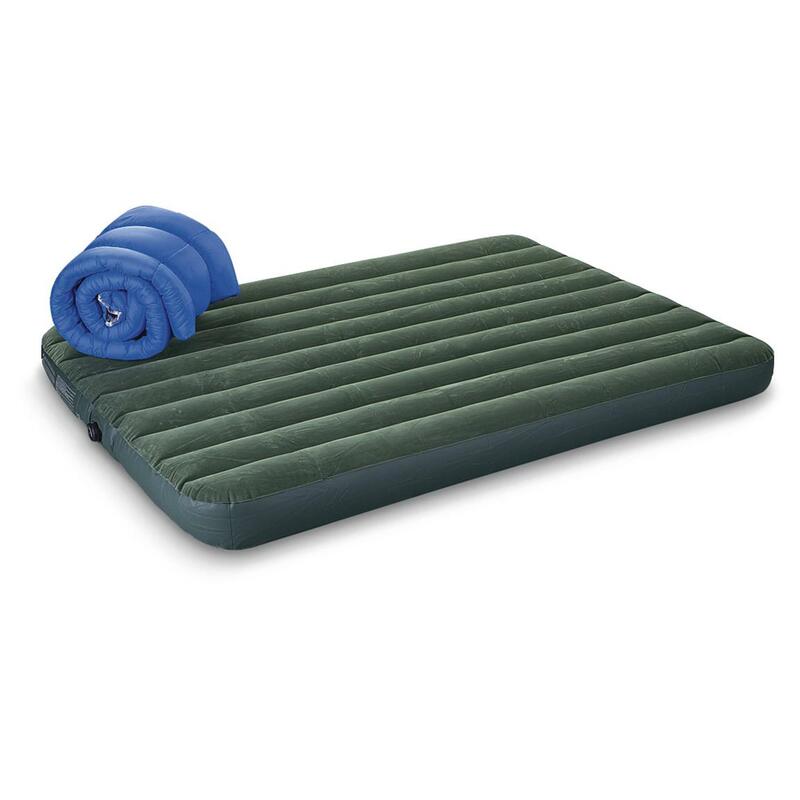 Overall, this portable airbed is perfect for the home or summertime camping. It works perfectly with a quick set-up and tear down. It is small enough to carry around in car and comes at a reasonable price tag and a nice texture. It was comfortable to sleep on. It worked great and was comfortable to sleep on. I decided to double stack them for a more comfortable level of sleep. Comfortable to sleep on and the price was very good. I purchased two Intex queen size camper air mattresses. I like it better than the coleman air mattresses I purchased, for comfort. This's a very comfortable air mattress, I own one that's another brand that isn't very comfortable at all. Had it's own battery operated pump which we also used on my husbands old air mattress! 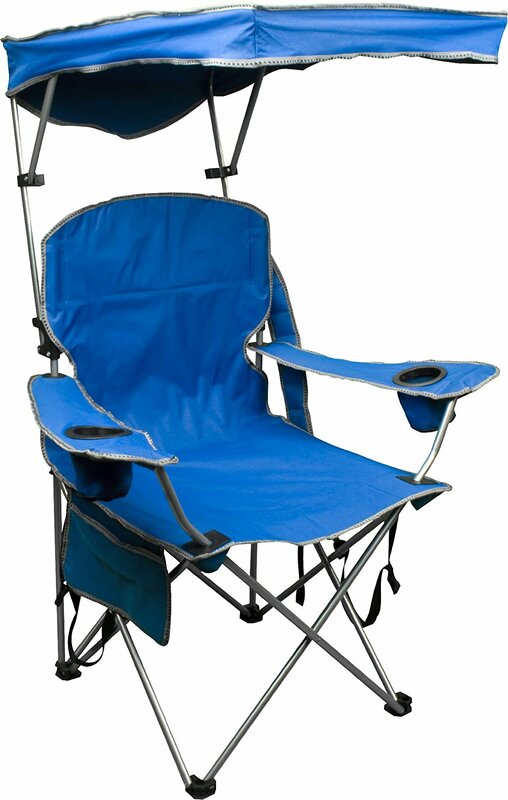 It's very sturdy and comfortable. The battery pump takes 4 D batteries. 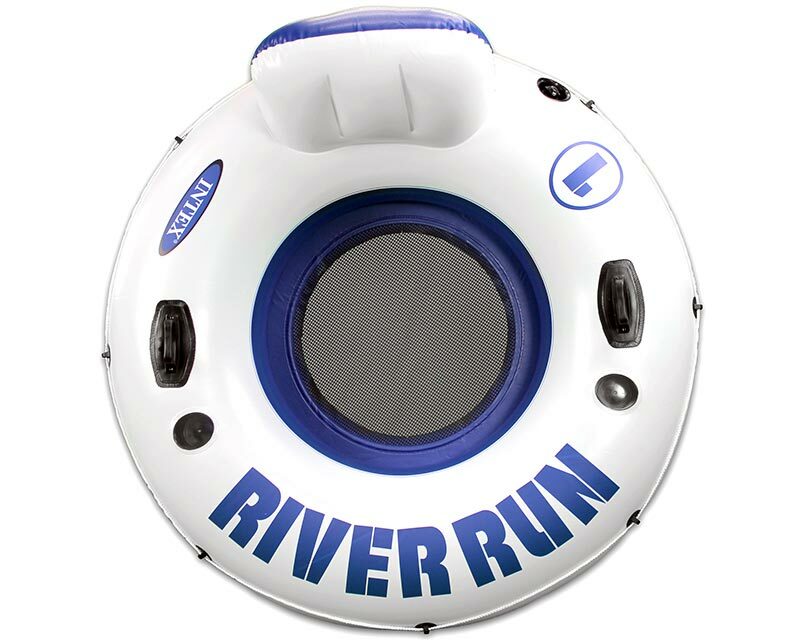 Easy to inflate with the hand held battery operated pump. The good news is the mattress is comfortable, large enough and the battery pump works fine. I like that it came with a battery operated pump. First it requires batteries, which is fine. I ordered INTEX mattress and D batteries together according to the item description above, but when I opened the box and read the manual - turned out that batteries don't fit. This unit came with a pump with 4D batteries. This pump won't work on weak batteries and pumps up the mattress to about 80% capacity, not more. I also bought an electric pump for about fourteen dollars instead of using the battery operated pump that came with it (it needs 4 type D batteries that aren't included and must be purchased, which would be a waste if you aren't regularly using it since the battery would discharge over time even without use). I ordered this "Prestige" model without realizing that it can ONLY be inflated by the battery operated pump. Inflating and deflating the bed was very quick. Well this little number is really easy to inflate and very comfortable. This mattress has held up better than any other inflatable mattress i've owned in the last 3 years. One mattress stayed firm for five days, other deflated because the cap wasn't seated correctly. People who've slept on it compliment how comfortable it's. It can be a pain to inflate and deflate this or any mattress so I left it inflated and it stayed fully inflated for over a year until I decided to deflate it and put it away for a while. After having gotten back, I inflated the mattress and just layer a comforter on top. The pumps that come with them are very nice for quick inflation - it took me about 4 mins to completely inflation one mat. It's a very comfortable mattress. I own an Intex raised downy queen sized bed and am quite happy with it - it holds air pretty well throughout the night. Got there quickly and he said it holds air well. It inflates quickly, keeps the sleeper off the floor, and seemed to hold well for the teenager I used it for. I like the texture of the top part of this bed since it holds the queen size fitted-sheet very well. Pump works fine and needed four Size D battery. You're not going to get anything deluxe here, but it functions perfectly and the included pump actually works pretty well too. 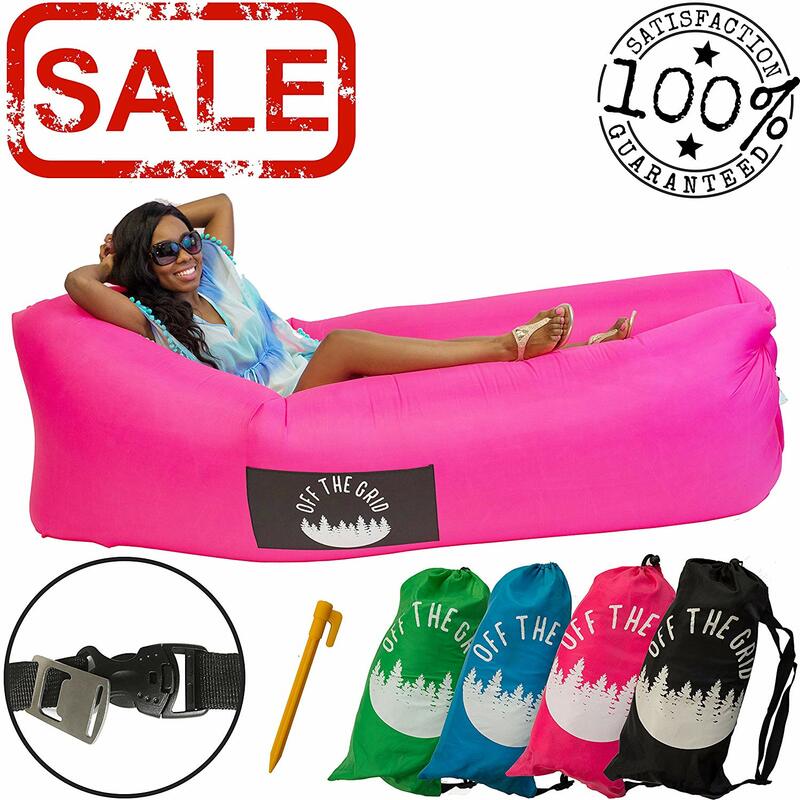 It works for both of the mattresses with have and it deflates them as well. My other half seemed to have slept quite well on it I didnt hear any complaints. The covering holds sheets well and gives the overall bed a nice soft feel, compared to non covered air beds. Highly recommend the Syntex air mattress to anyone looking for an air mattress no matter what your budget is. The pump was great - worked well and fit the mattress (and my friend's other brand mattress) nicely. I'd highly recommend this mattress. The mattress if firm when fully inflated. These air mattresses are very nice. No matter the price or brand, I seem to have no luck with air mattresses. The mattress seems to stop filling with air when it's inflated with the proper amount. This air mattress was great. Very weird but it does blow up this mattress in about 2 minutes.